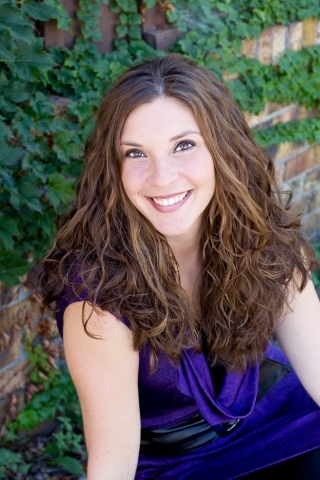 I'm excited to introduce my friend Natalie Replogle to you today! Natalie and I have known each other for years, and I have been excited to watch as God recently turned her talents and passions into a dream come true with the release of her first Christian romance book, A Rescued Heart. Natalie has been taking a blog tour to answer some frequently asked questions about herself, her book, and her writing process. Here she is to tell us more! How did you even know where to start to get a book published? Was it hard? ​It was very hard because I had no clue, none. So not only did I have a lot of research to do to write the book, but also countless hours trying to figure out how to get it published. I began by joining some writing groups (Romance Writers of America and American Christian Fiction Writers), reading books about publishing, finding blogs, websites, anything that would give me direction. It was actually a very lonely and overwhelming process for me. I will give a little shout out to my blog host for today. Laura has co-authored and published a book called, Spirit-led Parenting: From Fear to Freedom in Baby’s First Year and she was always so helpful in answering any questions that I had or if she came across something she thought would help me, she’d send it my way. Do you enjoy writing in “present time” or did/would you consider using a different time era as a setting? ​I do enjoy writing in present time. At this point, I have no desire to write in eras beside present time for the sole reason that with all the research that is needed to write the book, I can’t imagine finding the time to also add research into an era. I have been kicking around the idea of trying to get a devotional book published, but for now, I will focus on writing novels. What/Who inspired you to develop each character? ​I would say that in creating the best friend, Julia, I did combine the personalities and characteristics of my best friends and had that character respond in ways I thought my friends would. For the character of Kim (the mother struggling with abuse), we have had a couple neighbors that have dealt with domestic abuse and it opened my eyes to the hidden secrets that are behind closed doors. But just to state, Kim’s story is completely fictional. Overall, I can’t say that one certain person inspired me, but as a whole, I wanted the characters to be ordinary. To show that ordinary, everyday people can do great things. That it doesn’t have to take money, prestige or a high position to make a difference in those around you. What kind of research did you do to prepare and write the book? How many hours do you spend doing research? ​Research was a huge part of the book and I took it very seriously because if it is not correct, it will not be believable. I made sure that before I wrote about something that needed more knowledge than what I held, I didn’t write until I felt confident about it. From the city it took place in, to understanding domestic abuse, to the criminal justice side of the situations that I needed for my storyline. I did a majority of my research on the internet and I also asked a local officer many questions to help me understand how certain situations would be handled. I’m not sure I could even give you a ball park number of the hours I spent on research besides…it felt like half my life. The best I can say is I usually spent a good day or two preparing my facts and knowledge on what I wanted to write about and that happened many, many times! Thanks, Natalie! 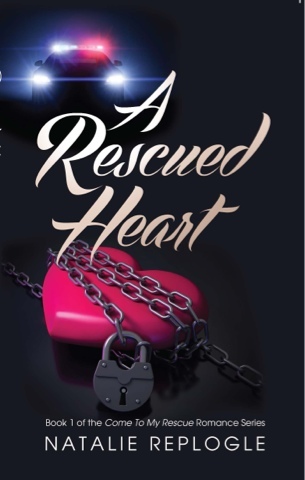 For more information about A Rescued Heart, or to order a copy, here is the Amazon link. Happy reading!